Tour de France champion Chris Froome‘s hopes of winning a second Grand Tour looked in tatters after stage 11 of the Vuelta a España. Sky leader Froome crashed early on in the brutal mountains stage, and looked in difficultly with his injuries over the day’s six categorised climbs, dropping out of the top 10 after finishing over eight minutes down. 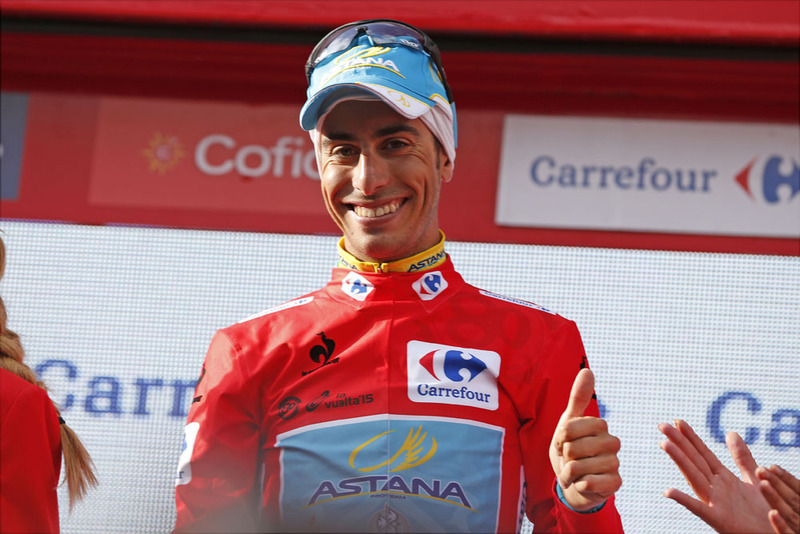 Astana enjoyed a better day, with Spaniard Mikel Landa winning the stage and Italian Fabio Aru coming home in second to claim the overall race lead from Tom Dumoulin (Giant-Alpecin). American Ian Boswell handed Sky a consolation prize by finishing the stage in third place. Many riders approached the stage with some trepidation, particularly after Tuesday’s rest day. 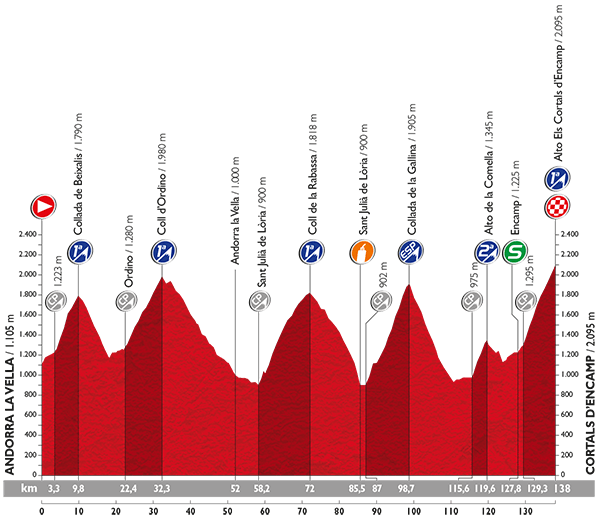 Designed by Spanish climber Joaquim Rodriguez (Katusha), the stage featured over 5000 metres of ascent. The day didn’t start well for Froome, who suffered an untimely crash early on in the stage and was forced to fight his way back up to the peloton through dropped riders up the first categorised climb of the day, the Collada de Baixalis. He got back in touch on the descent – but used up valuable energy to do so. A large 19-rider escape group formed after three groups joined forces, including King of the Mountains leader Omar Fraile (Caja Rural-Seguros RGA) who was on the hunt to extend his lead in the competition. By the ascent of Coll d’Ordino they led the peloton by around two minutes. Imanol Erviti (Movistar) attacked on the descent of Coll d’Ordino, opening up a gap over his breakaway companions. Team Sky took over the pace-making at the front of the peloton after an early stint by Astana. Erviti was caught by the chasers on the descent of the Puerto de la Rabassa, bringing the 19-rider group back together. Froome lost touch with the back of the peloton on the Coll de la Gallina as the rain started to fall, and visited the race medic’s car to attend to his shoulder injury. Geraint Thomas dropped back to try and pace him back up but he quickly lost a minute, then two minutes on the tough climb as Astana took to the head of the bunch. Up front, the break splintered leaving seven riders over the top of the Coll de la Gallina: Landa, Fraile, Boswell, Romain Sicard (Europcar), Nelson Oliveira (Lampre-Merida), Darwin Atapuma (BMC) and Pawel Poljanski (Tinkoff-Saxo). 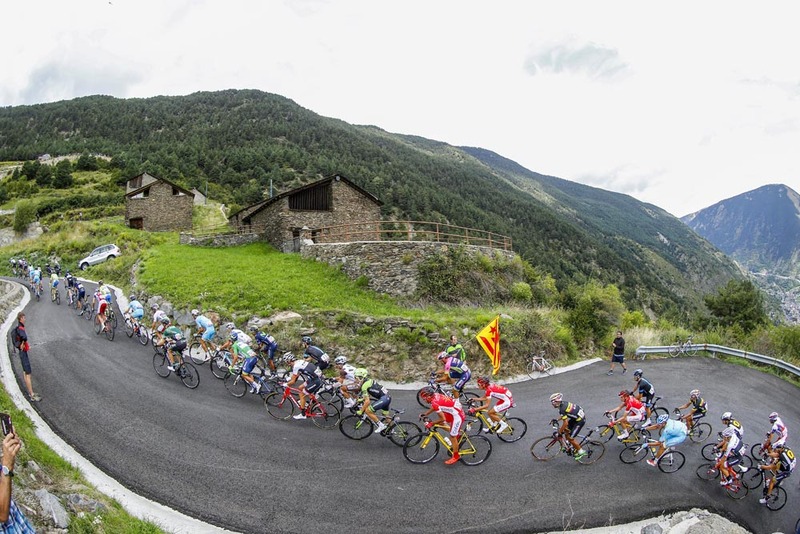 Rodriguez, Daniel Moreno (Katusha) and Alejandro Valverde (Movistar) attacked the peloton on the descent catching up with Erviti and Alberto Losada (Katusha) from the earlier break. They were then joined by Aru, Nairo Quintana (Movistar) and Esteban Chaves (Orica-GreenEdge). Dumoulin managed to chase back on as the race neared the penultimate climb of Alto de la Comella. Landa struck out from the lead group at the bottom of the final climb, and behind him Astana team-mate Aru did the same from the favourites group, pulling Rodriguez with him and distancing Valverde. Aru then attacked again with around 6km to go and the steepest part of the final climb. 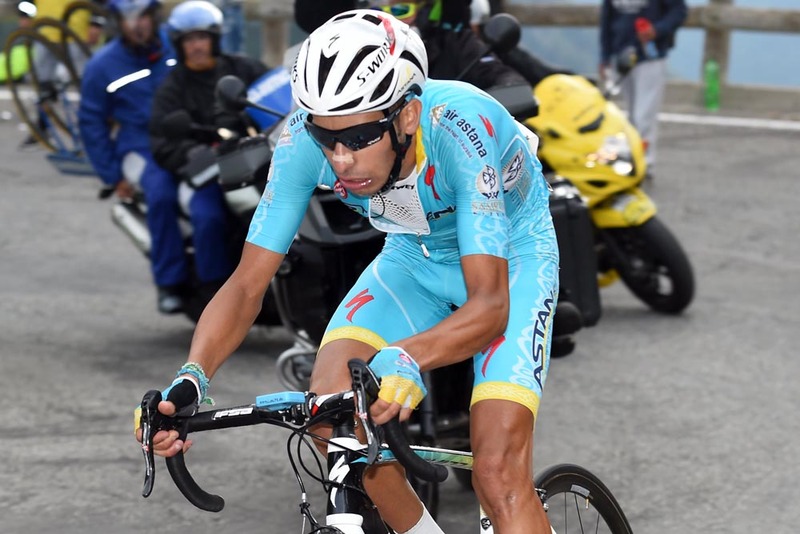 Aru rode hard up the remainder of the climb as Landa crossed the line to take the day’s honours, and the Italian securing the red leader’s jersey. Froome finished the stage 8-41 down on Landa, and had to be helped off his bike, barely able to stand. Movistar duo Quintana and Valverde also lost time, with both slipping down the overall classification. Aru now leads Rodriguez by 27 seconds overall, with Dumoulin in third at 30 seconds. Froome sits in 15th overall, at 7-30. Race motorbike controversy continued to dog the Vuelta after Peter Sagan’s incident, with Sagan’s Tinkoff-Saxo team-mate Sergio Paulinho being hit by a motorbike during the stage and was forced to abandon the race with his injuries. After today’s climb-fest, Thursday’s stage 12 is much calmer – a 173km trip out of Andorra and into Lleida that is more downhill than up and is punctuated by just one categorised climb 100km from the finish. The day looks like it could be one for an escape.